The love for creativity and design, made Silvia open her fisrt Gift and Flower Shop back in 2004, her motivation is about bringing beauty and grace in each one of her arrangements for different occasions. When she has arrangements for a funeral, she gives her best trying to create the most delicate and warm hearted bouquets with her deepest intention to give a little comfort to those, who have recently lost a loved one For Weddings she works carefully to meet the clients expectations and her drive is to see how her clients have been satisfied with the service throughout the years. 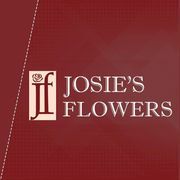 Decorations for events, homes and businesses are also available by Josie's Flower shop. Silvia counts with 14 years of experience. You can contact her through an email or a phone call any time you need a special occasion. Rate and review Josie's Flower Shop in North Hollywood, CA, United States! Share your experiences at Josie's Flower Shop with your friends or discover more Florists in North Hollywood, CA, United States.